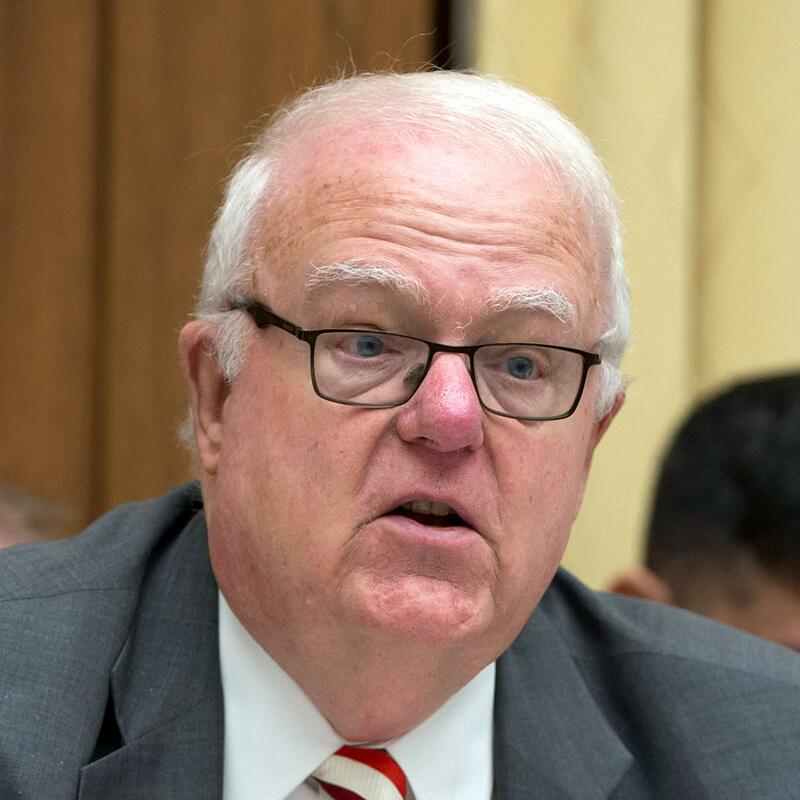 James Sensenbrenner, a Representative from Wisconsin; born in Chicago, Cook County, Ill., June 14, 1943; graduated from Milwaukee Country Day School, 1961; A.B., Stanford University, Stanford, Calif., 1965; J.D., University of Wisconsin Law School, Madison, Wis., 1968; staff, United States Representative Jesse Arthur Younger of California, 1965; lawyer, private practice; member of the Wisconsin state assembly, 1969-1975; member of the Wisconsin state senate, 1975-1979, assistant minority leader, 1977-1979; delegate, Wisconsin state Republican conventions, 1965-2015; elected as a Republican to the Ninety-sixth and to the twenty succeeding Congresses (January 3, 1979-present); one of the managers appointed by the House of Representatives in 1989 to conduct the impeachment proceedings against Walter L. Nixon, judge of the United States District Court for the District Court of Mississippi; one of the managers appointed by the House of Representatives in 1998 to conduct the impeachment proceedings of President William Jefferson Clinton; one of the managers appointed by the House of Representatives in 2009 to conduct the impeachment proceedings of Samuel B. Kent, judge of the United States District Court for the Southern District of Texas; one of the managers appointed by the House of Representatives in 2010 to conduct the impeachment proceedings of G. Thomas Porteous, Jr., judge of the United States District Court for the Eastern District of Louisiana; chair, Committee on Science (One Hundred Fifth and One Hundred Sixth Congresses); chair, Committee on the Judiciary (One Hundred Seventh through the One Hundred Ninth Congresses). There are 435 Representatives, who sit in congressional districts which are allocated to each of the 50 U.S states. This is a list of the current Wisconsin Representatives's of the United States House of Representatives (116th United States Congress). Select a State to access Government & Demographic data on the 116th United States House of Representatives. Contact Information includes Phone Number, Mailing Address, Official Website, Twitter & Facebook Accounts.